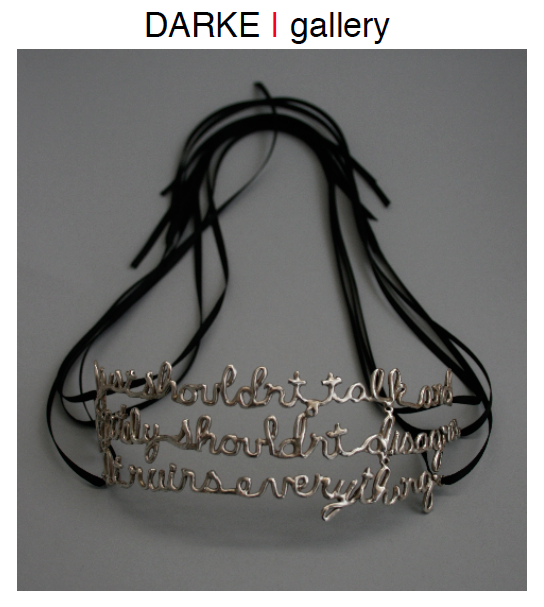 Come out to DARKE gallery (site / map) and enjoy hand-made, wearable pieces of art! I am a featured in the Jewelry Exhibition with Laura Castriotta and it will begin Friday, December 3rd from 6pm-9pm. Doors re-open Saturday, December 4th from 3pm-6pm. There will be champagne cocktails and holiday treats. If you miss the showing, feel free to visit DARKE gallery during its normal gallery hours, Wednesday thru Friday 12pm-5pm and Saturday 12pm-3pm and by appointment.